Ankle boots are some of the most versatile shoes for travel. They’re practical for the weather, fashionably versatile, and can be found in many comfortable styles. 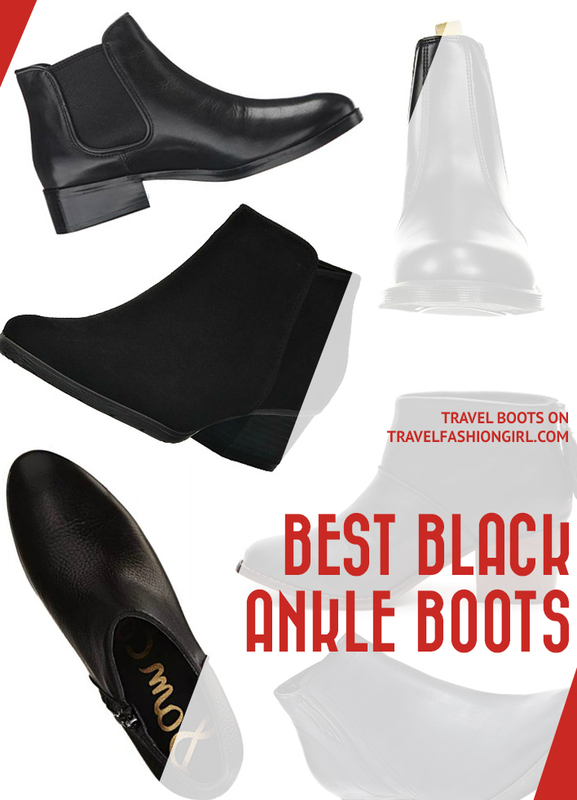 Find out our readers’ picks for the best black ankle boots for travel! A black ankle boots is a wardrobe staple for any female traveler. They’re classic, timeless, and match just about any outfit. They’re even the best type of shoes to take to Paris when it’s cold! When it comes to wearing ankle booties while traveling, it’s important to find a balance of comfort and style for your capsule wardrobe. Short boots like these need to be versatile enough to wear for multiple occasions, and can be used for both sightseeing and to dressy dinners. As a major plus, they are compact so they are easy to pack in your suitcase, especially for trips with two different climates. Some boots are even small enough to fit into a slim packing cube instead of a shoe bag! So many of our readers mentioned Blondo Villa Waterproof Bootie as one their favorite travel shoes for cold and rainy trips that I had to test them out for myself – and they’re fantastic! Not only are they comfortable and practical when it rains but they also look good, too. One reader says, “These were perfect walking in snow and on wet surfaces. I used them on my trip to Iceland and Ireland”. For those who love to spend their vacations wandering through cities and exploring the sites, come rain or shine, the is a popular choice for waterproof boots. They’re comfortable and practical but also stylish, too. Black is the most classic option, but the “Mushroom suede” is also a versatile choice. Buy it here! 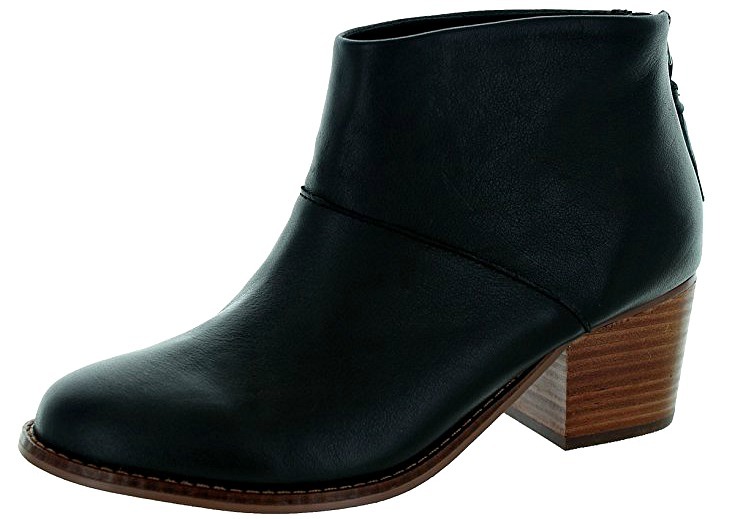 We, along with countless others, love the classic Sam Edelman Petty ankle boot. They’re comfortable and so stylish. They come in so many different colors and fabrics. For black boots alone, you have three options: suede, leather, and calf fur. The heel is less than 2” and the perfect height for adding sophistication to a casual style. As one reader says, “Sam Edelman Petty boots are super comfy and come in tons of colors and materials.” Another reader adds, “I have two pairs of these and I LOVE THEM! They go with everything and are super comfortable.” Buy it here! 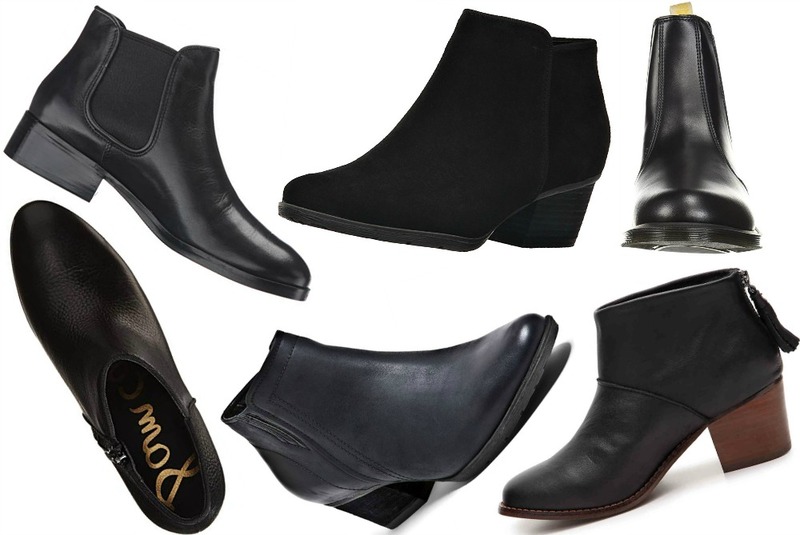 If you’re traveling in fall, find out what’s the best ankle boots for fall! Not only do we love Blondo shoes, but so do our readers! Blondos come highly recommended. 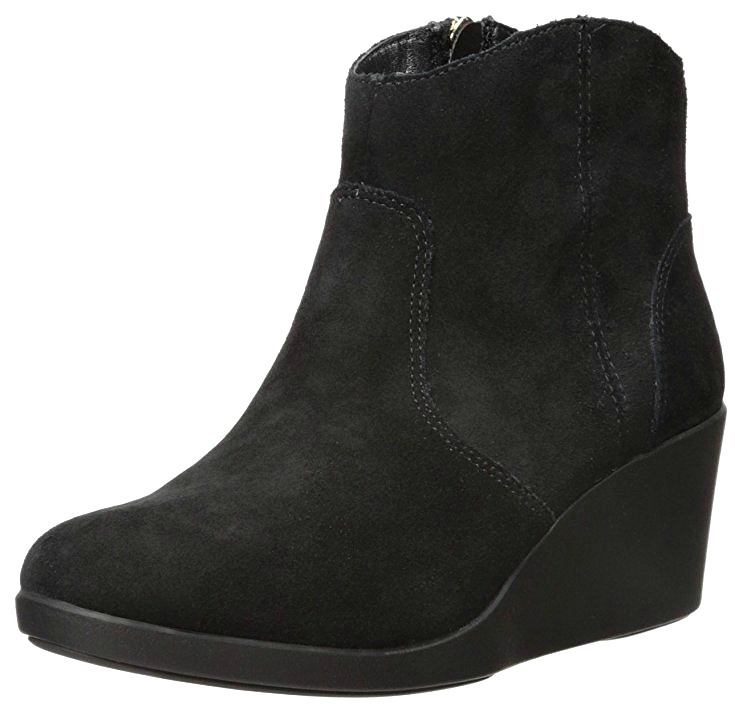 The Blondo Valli bootie is waterproof, which is an amazing and uncommon feature for suede boots. 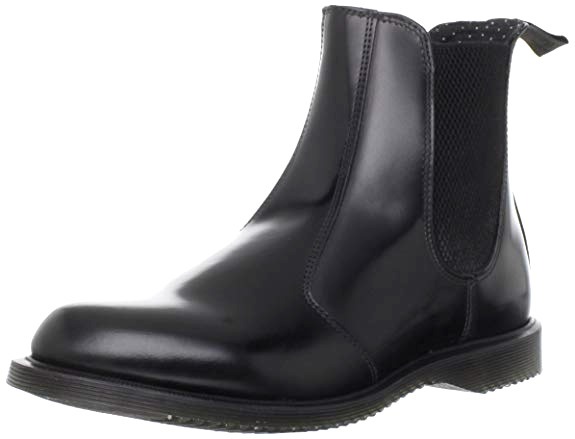 Plus, they have a textured sole for enhanced traction, making them the perfect black ankle boot for rainy weather. With a stacked 2” heel, they look dressy but are easy to walk in. One reader says, “I bought suede Blondos and wore them all over France. I have fussy feet any these were so great. I highly recommend. I should mention that I live in Seattle, so waterproof was a must.” Another added, “I’m a big fan of Blondos, too! I find they keep my feet dry and reasonably warm in Seattle’s rainy weather.” Buy it here! These are the most recommended waterproof leather boots for winter travels! Love to add a bit of edge to your short black boots? Or planning to visit a location with rough terrain? One reader recommended the Dr. Martens Flora Ankle boots, saying she “loves them,” and we agree that they’re a great style for traveling. They’re easy to slip on and off, and have great abrasion and slip resistance, so you can walk on rainy or snowy roads without slipping. Plus, the higher shaft on these women’s ankle boots means you won’t track dirt, mud, or snow into your shoe when walking. Best of all, they’re vegan, making them a great option for those who don’t wear leather or animal products. But it here! We’ve rounded up thirteen cute rain boots for women that look just like the real thing PLUS they won’t take up any room in your suitcase! 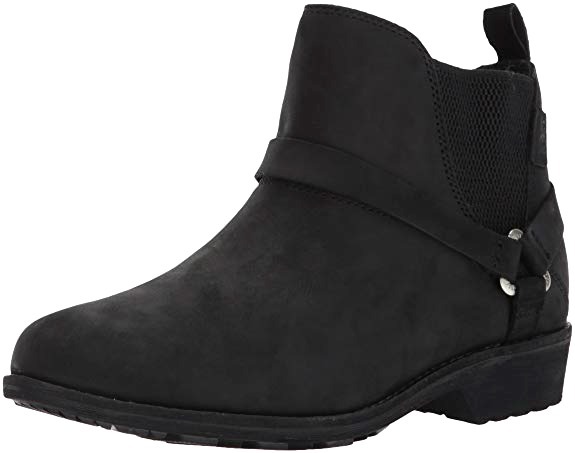 Women’s chelsea boots are some of the best styles for traveling, as the flat heel makes them easy to walk in, and the slip on style is perfect for the airport when you need to quickly slip in and out of your shoes for security checks. 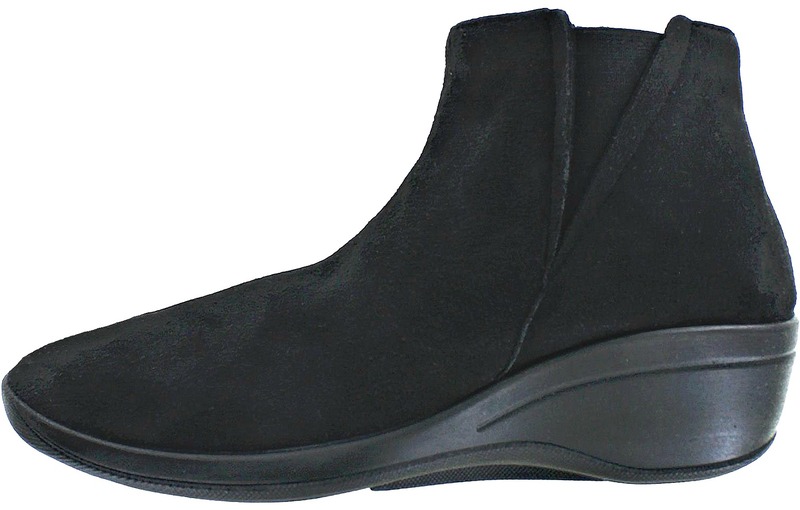 Take a look at our round-up of fifteen gorgeous chelsea boots styles! The heel is 2.25”, so they’re not the typical flat black short boots, but it’s a comfortable and doable heel for moderate periods of city walking. The leather is smooth as butter and flexible so it molds to your feet after a few wears. Buy it here! Learn more about why ankle booties are one of the best shoes for Europe! The Luana black ankle bootie is a classic style. The zipper closure and side elastic offer a snug yet flexible fit, while the lightly padded footbed with inserts offer a comfortable wearing experience. The durable polyurethane outer sole absorbs impact and provides grip for a confident stride. 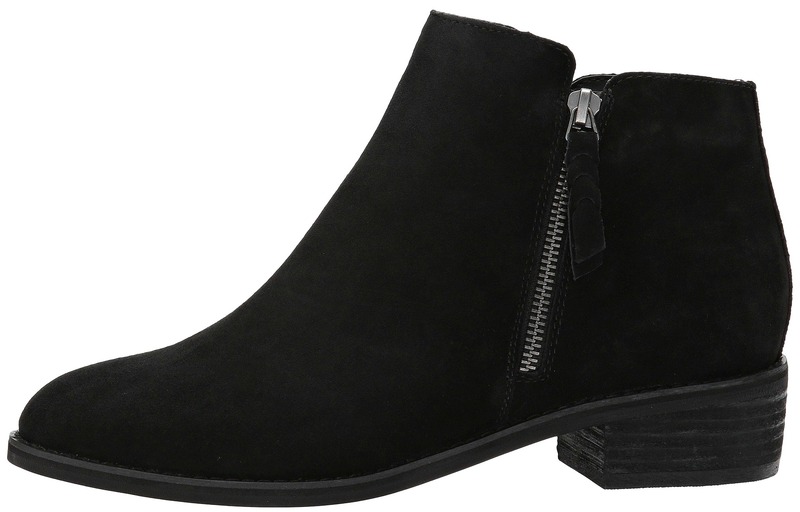 These black ankle booties for women are also great for vegans, as they aren’t suede or leather! Buy it here! Here are the brands they chose as the best shoes for plantar fasciitis! As one reader says, “Don’t laugh, but Crocs! They make cute sandals, wedges, boots, flats, even heels. LOVE them!” Crocs inspire a wide range of reactions, and some people love them, while others hate them. 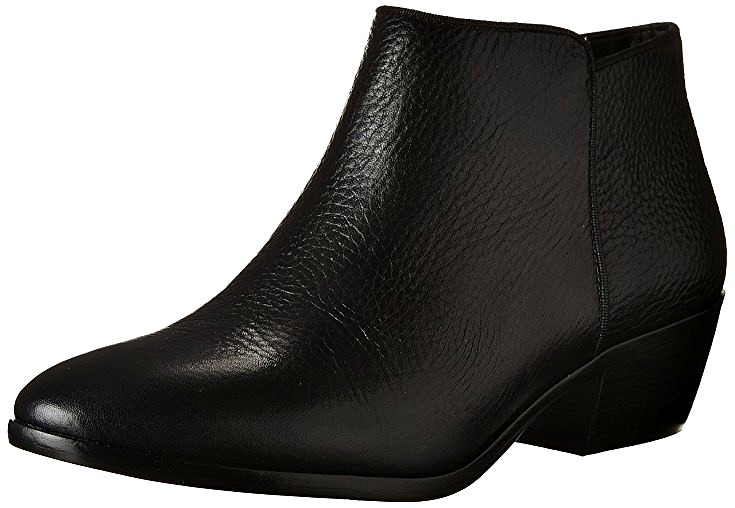 Although we’re not sold on their traditional clog, these Leigh booties are a stylish wedge option if you’re looking for women’s black ankle booties. At 2.5”, the heel is a little higher than some want for a black short boot, but the wedge makes them more durable and stable. Plus, the dual comfort foam footbed on top of a croslite foam midsole makes them incredibly comfy. Buy it here! For budget finds, take a look at this round-up! Teva shoes are known for their comfortable footbeds and durability, making them a great option when you’re hunting for black ankle booties for women. This brand makes high quality leather waterproof boots that are sure to last you years and years of traveling. 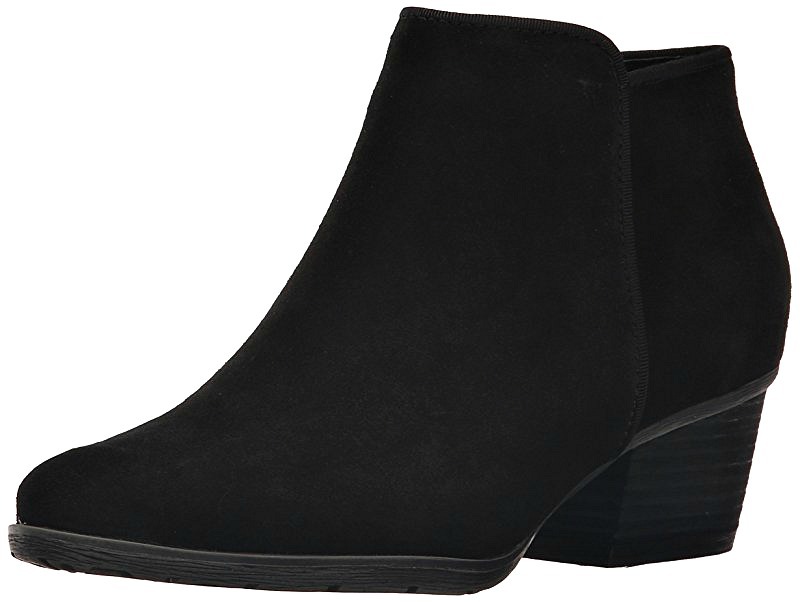 A black ankle bootie is a wardrobe staple for any female traveler. They’re classic, they’re timeless, and they match with just about any outfit. When it comes to wearing black ankle booties while traveling, it’s important to find a balance of comfort and style. Plus, short boots need to be versatile enough to wear for multiple occasions, from sightseeing to dressy dinners. Buy it here! Check out our collection of the best waterproof boots for travel this winter. They’ll help you keep your feet warm and dry! Yes, another style from Blondo! We can’t help it. 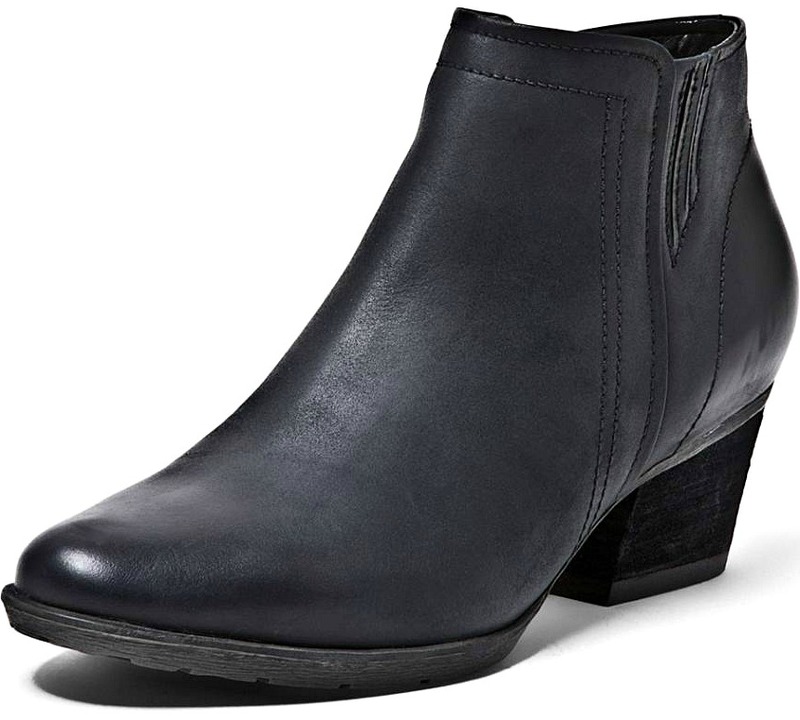 They make the best black ankle boots for women. Like the Valli, the Liam booties are also waterproof. They feature a lower heel, so they’re a nice, more casual alternative. Plus, the side zipper and tassel add a decorative and cute touch to this style. One reader scored these during one of Nordstrom’s anniversary sales, and says, “I wore them right out of the box with a business dress and hiked miles at a convention. A couple of weeks later I wore them with a flirty LBD for a night on the town.” We love that you can dress these women’s black ankle booties up or down and stay comfortable no matter how many miles you trek. Buy it here! Not sure what clothes to use with them? Here’s how to wear ankle boots! 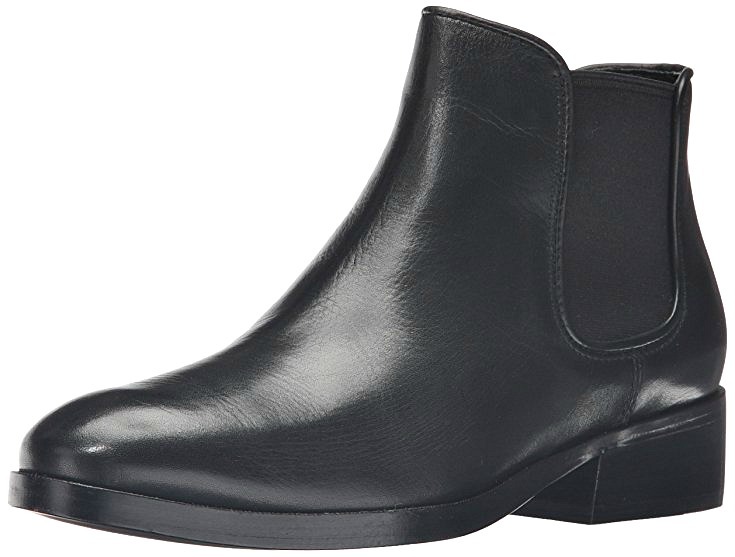 What do you think are the best black ankle boots for travel? Share in the comments below! I hope you liked this post on the best black ankle boots for walking. Please share with your friends on Facebook, Twitter, and Pinterest. Thanks for reading! At your recommendation I bought the Blondo waterproof boots and LOVE them. I’ve always had a hard time with finding comfortable shoes but these were perfect from the start. I wore them daily sightseeing in Barcelona. They were stylish, held up in the rain, versatile with all my outfits day and evening and so comfortable. My go to travel pick! Boone by Earth Shoe. Low heel, good arch support. They’re not waterproof out of the box, but Kiwi’s Suede & Nubuck Protector takes care of that. They have both laces and zippers, so you can adjust the fit (I can’t wear boots without lace, my feet are too awkwardly sized), but then you can slip them off an on easily afterwards. I LOVE the Aria by Cobb Hill/Rockport. Little ankle boot that laces up – so comfortable with cushioned sole/heel they went from right out of the box to hitting the pavement all day. Looks great with jeans, pants and skirts too. Thanks for the feedback Jackie! All the heels are too high for a lot of walking. It’s a bit surprising as the readers chose these styles as their most comfortable – perhaps the short heels offer arch support.